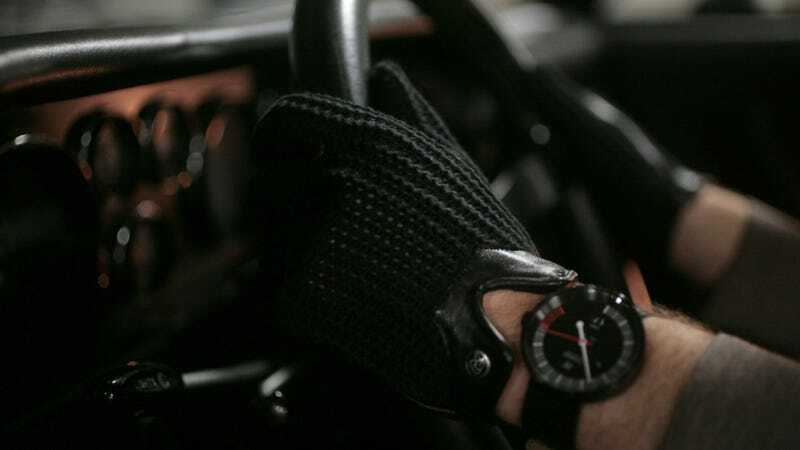 I've tried on these sweet stringback driving gloves from Autodromo and I can assure you, they instantly make you feel like you're about to go race Phil Hill and Carroll Shelby at Riverside. I'm friends with Bradley Price, the guy who started his own business making watches inspired by his favorite classic European sports cars. I remember when he first came out with his watches and everyone clamored to know how much his gloves cost, too. Well, only now is he making these glove, but they're worth the wait. They're $110, which isn't cheap, but if you own a Jaguar XK120, or even if you just put a wood wheel in your 2000 Miata, you should probably spring for a pair. You can get them here at Autodromo, where you can size your hand, too.